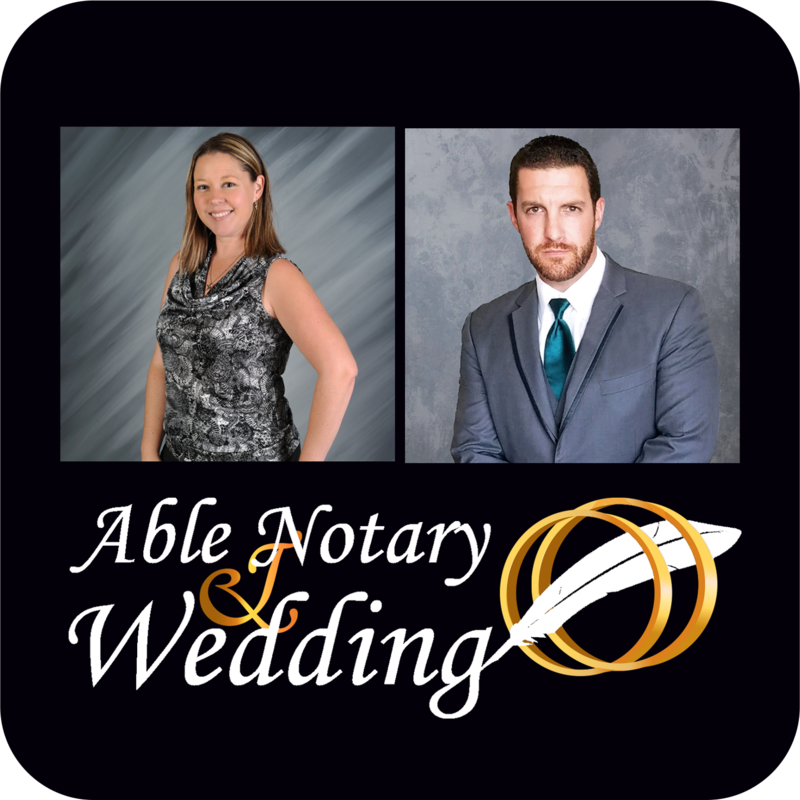 Able Notary & Wedding ♦ Mobile Notary Services You Can Trust! A Notary Public is a State Official appointed to notarize documents anywhere in the state in which they are Commissioned. A Notary acts as an impartial witness to certain transactions. The notary’s participation in these transactions creates a degree of certainty and integrity that is crucial to the proper operation of business, government and commerce. Is a marriage performed by a State of Florida Notary Public “legal and binding”? Yes. Florida is one of only three states (the other two are Maine and South Carolina) who authorize their Notaries Public to “solemnize the rites of matrimony.” §117.045, Florida Statutes. A Florida notary may perform a marriage ceremony providing the couple first obtains a marriage license from an authorized Florida Official and may only perform such ceremony within the geographical boundaries of Florida. Thus, a Florida notary cannot perform a marriage ceremony in another state. Additionally, a notary from another state, including South Carolina and Maine, could not perform a marriage ceremony in Florida. Before an elected President can begin the execution of office, the US Constitution mandates that the President must take the oath of office. Typically, the Presidential Oath of Office is administered by the Chief Justice. Calvin Coolidge, however, was the first American President to be sworn in by a notary! At the time of President Warren G. Harding's death, Coolidge was vacationing on his father's farm in Vermont. His father, a Vermont Notary Public, swore him into office at 2:45 AM on August 3, 1923.